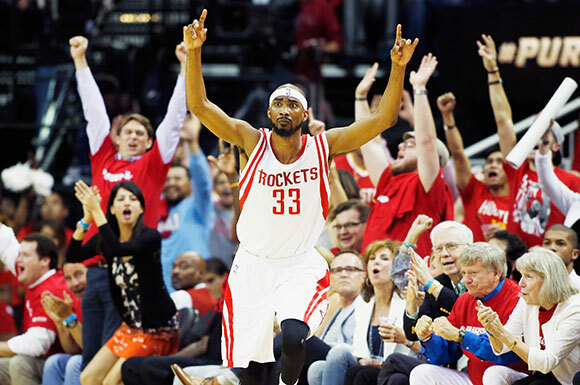 The Rockets are keeping Corey Brewer in Houston. While the Rockets have been waiting on LaMarcus Aldridge’s decision before making moves, they took care of some important business on Friday. Yahoo! Sports reports that the Rockets and Corey Brewer have agreed on a three-year, $24 million deal that keeps the small forward in Houston. It’s a big move for the Rockets, especially considering how NBA salaries are again spiraling out of control this signing period. The Rockets may only have a small chance of landing Aldridge, but if they do get so lucky, they almost certainly will have to move Trevor Ariza in a deal, making keeping Brewer even more important. But regardless, Ariza and Brewer made life difficult for opponents last season by aggressively playing the passing lanes and that looks like it will continue to be a strength for this team.